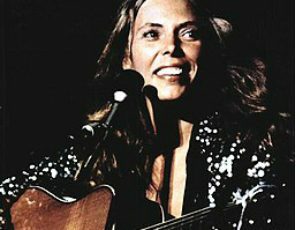 Joni Mitchell, the Canadian-born singer and songwriter, turns 75 on November 7. Her career spans 50-plus years and covers a wide variety of musical genres, from folk to pop to jazz. A winner of multiple Grammy awards across several categories, Mitchell considers herself "a painter derailed by circumstances," according to the 2017 biography Reckless Daughter. However, the world sees her as perhaps the most influential female recording artist of the late 20th century. Mitchell's fame began growing in the late 1960s. She won her first Grammy for Best Folk Performance in 1970 with her second album, Clouds. Her emotionally intense lyrics were drawn from personal experience. Her fourth album, Blue, released in 1971, is ranked by many outlets, including Rolling Stone, Time and NPR, as one of the greatest of all time. Mitchell's musical evolution continued over the next four decades. She recorded album after album. Her songs were covered by other artists from the earliest days of her career. She published an aptly titled autobiography in 2014, Joni Mitchell. One of the first songs I remember learning to play in guitar class was "The Circle Game" from Mitchell's third album, Ladies of the Canyon, also available on Hits. What's your favorite Joni Mitchell song?